When you install Veeam Backup & Replication, you are asked to specify a path to the license file. 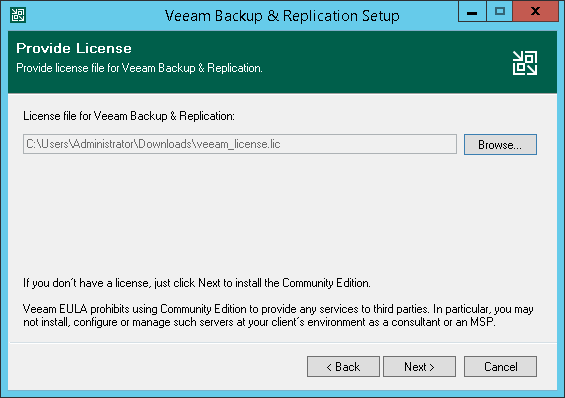 If you do not specify a path to the license file, Veeam Backup & Replication will run in the community (free) version. For more information about product versions, see Community Edition and Full Version. From the main menu, select License. To install or change the license, click Install License and browse to the LIC file. If backup servers are connected to Veeam Backup Enterprise Manager, Veeam Backup Enterprise Manager collects information about all licenses installed on backup servers. When Veeam Backup Enterprise Manager replicates databases from backup servers, it also synchronizes license data: checks if the license installed on the backup server coincides with the license installed on the Veeam Backup Enterprise Manager server. 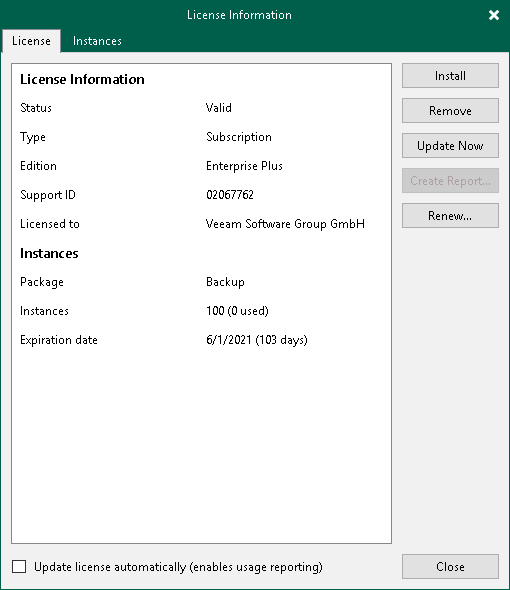 If the licenses do not coincide, the license on the backup server is automatically replaced with the license installed on the Veeam Backup Enterprise Manager server.